Will provide the Council an update on current operations across the Sector as well as Coast Guard growth and potential growth here in the low country. 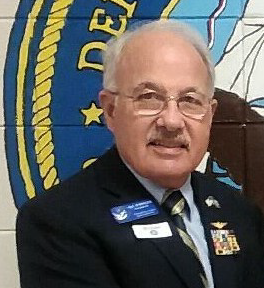 His talk will include discussions concerning additional cutters being home ported here and potentially moving to the Sector, as the Service develops an infrastructure and support plan for the next 25 years. Meeting at Carey Hilliard's Banquet Center, 11111 Abercorn St Savannah, GA Social Hour 5:30 to 6:30, Dinner and program from 6:30 to 8:00 pm. Please join us and bring a guest. Engage in our grassroots mission by writing a letter and voicing your support on the issues that matter to our sea services. Link to page on the national website that makes it real easy. Savannah Council welcomes new members who will work with us in our mission of supporting the Sea Services. 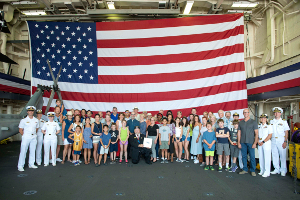 No prior military service is required to be a member of Navy League. 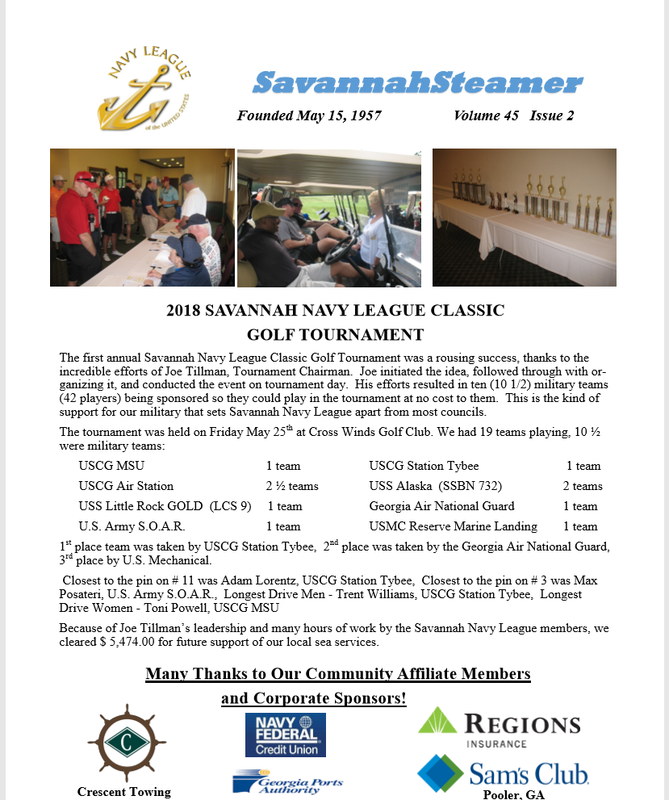 Show your support for our Sea Services by becoming a member or a corporate sponsor of the Savannah Navy League. 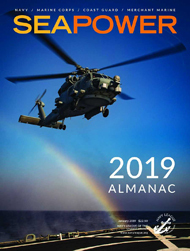 Community Affiliates are companies that have joined the Savannah Council to affirm their support of sea services members and their families and acknowledge the daily sacrifices of the sea services in securing our nation’s economic prosperity. The Savannah Council is proud to recognize these businesses that support our local council and it's mission.